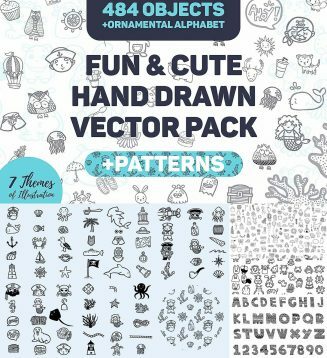 This pack includes about 484 objects in 7 different themes, 4 seamless patterns, and 1 set of ornamental alphabet. Perfect for your summer theme gift, party, printed fabric and paper, etc. File format: .pat, .ai, .eps for Photoshop or other software. 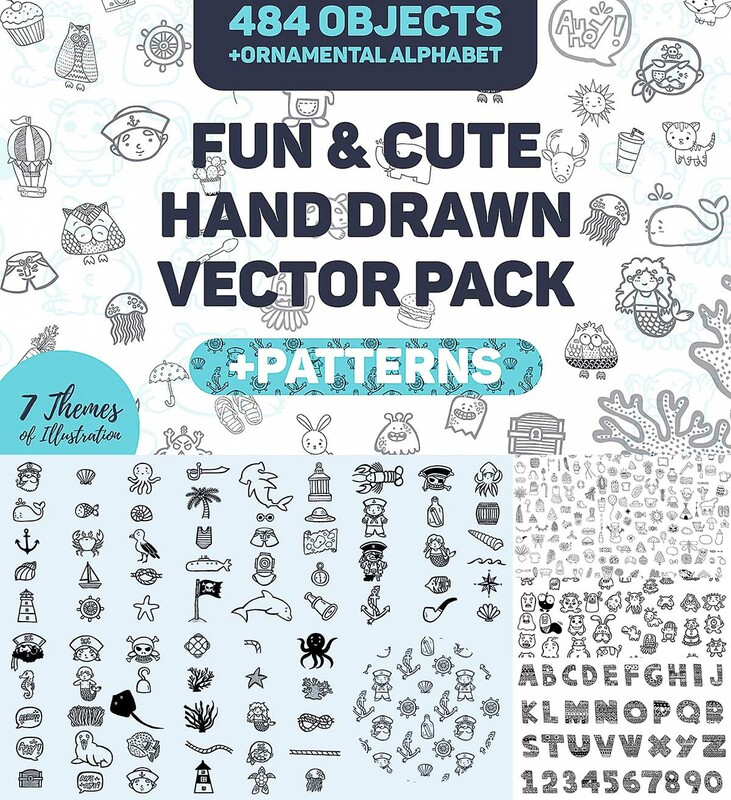 Tags: alphabet, animal, creative pattern, cute, flower, food, handdrawn, plant, sea.